Cellulite is a condition that affects over 85% of women, irrespective of age, physique or profession. As cconsumers are willing to pay a premium for special need products, Anti cellulite products will have strong demand and profit. The new age eating habits and lack of exercise contributes significantly to fat accumulation and loosening of skin, causing physical and mental stress to women. Indian consumers increasingly believe that Ayurveda and its philosophy of trusting nature and natural ingredients to deliver health, wellness and beauty. These consumers pay attention to labels and lean towards products that exclude potentially harmful ingredients. Following this consumer insight, one of the fastest growing Direct selling company Sami Direct has entered the nascent market of anti-cellulite products with its premium beauty brand Johara this year. The Johara Body Firming Anti Cellulite Cream is a super-charged formula that stimulates cellular activity, significantly increases the skin’s hydration level, and begins the firming and toning process to help deliver the most dramatic results. He also said that the 200 women used the products gave him fantastic feedback from women who have used our product. 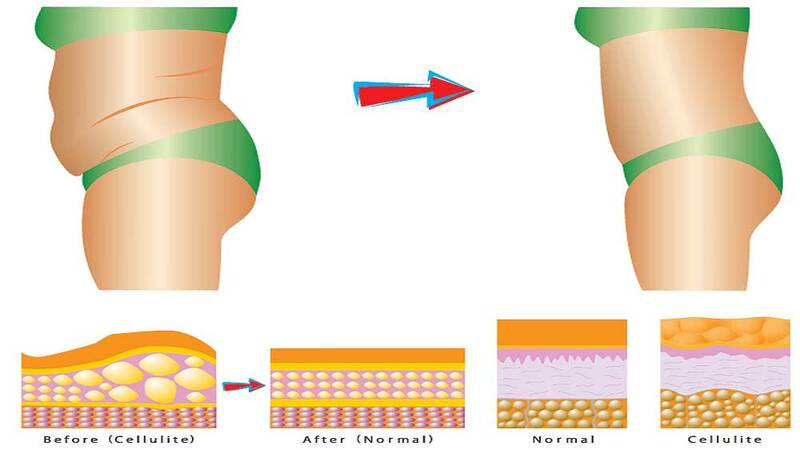 After using Johara Body Firming Anti Cellulite Cream for 4 weeks, 94 per cent of women agreed that their skin felt tight and toned, 95 per cent women observed improved skin elasticity, 96 per cent agreed that using the product has reduced dimples on their skin while 97 per cent believed that appearance of cellulite reduced on their skin. “As learning from the research, it is clear that as the awareness of cellulite is increasing the demand for products that offer anti cellulite benefits will also get a strong boost. As a Direct selling brand, our SamiDirect Distributors are well equipped to share the education on the need for the product and help build awareness,” Dr Majeed further added. Launched in Q2 of 2016, The Johara Body Firming Anti Cellulite Cream has many unique ingredients that are Sami Sabinsa patented and found exclusively in our product. SamiDirect has released a special brochure to promote the product through its distributors. “We have also had large scale education programs for our distributors to train them on the product. Ingredients, USP as well as the strong claims. Our distributors have started targeting spas, gym and parlours to share the information and build awareness for the product. We also periodically offer our customers very attractive promotions when they buy Johara Body Firming Anti Cellulite cream,” unveiled Dr. Majeed. in USA and has been certified as safe with a Dermatologist certification. The company claims to offer product enriched with free of Parabens, Sulfate, Synthetic Dye or Formaldehyde. Its skin care products have standardised botanical extracts and will be clinically relevant. SamiDirect product pricing strategy helps the firm in market penetration by offering products that fits the needs of most price-conscious middle class consumers. The product has great acceptance in urban market. Being a direct selling company, SamiDirect’s products including Johara Body Firming Anti Cellulite cream are exclusively selling through Independent Distributors or may order online from the company website. 5 Detox tips to slash fake franchise..